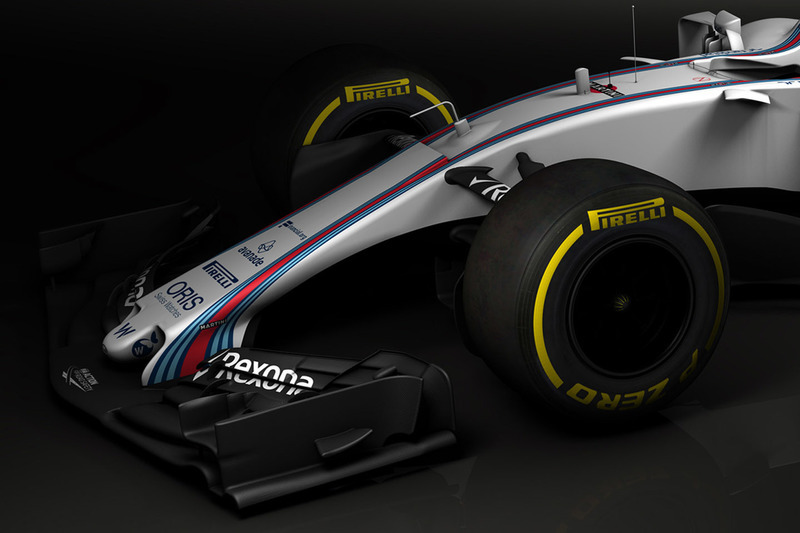 Williams became the first Formula 1 team to show off its 2017 design on Friday, releasing renders of its new FW40 on the eve of the scheduled launches beginning next week. 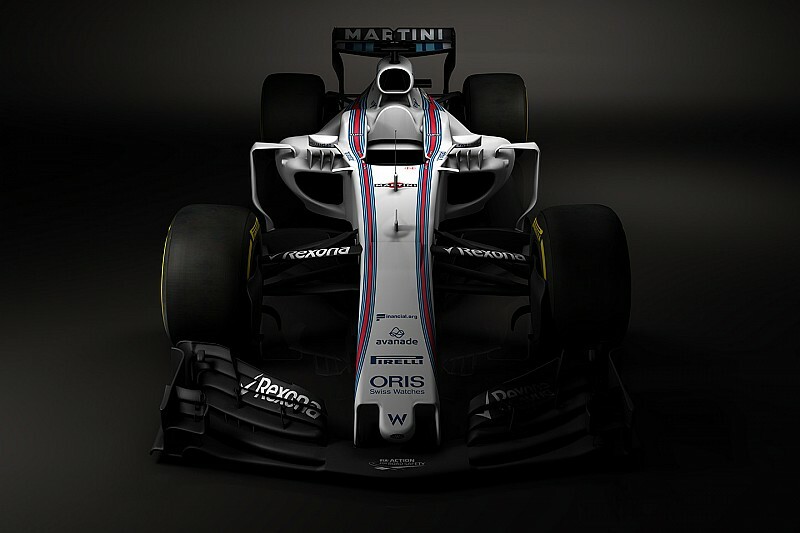 The FW40 breaks away from the normal sequential nomenclature Williams has used for years in order to celebrate its 40th year in the sport, a resounding achievement for any team. The car clearly carries all the hallmarks of the new regulations, with deltoid shaping present on the front wing, leading edge of the floor and the rear wing. 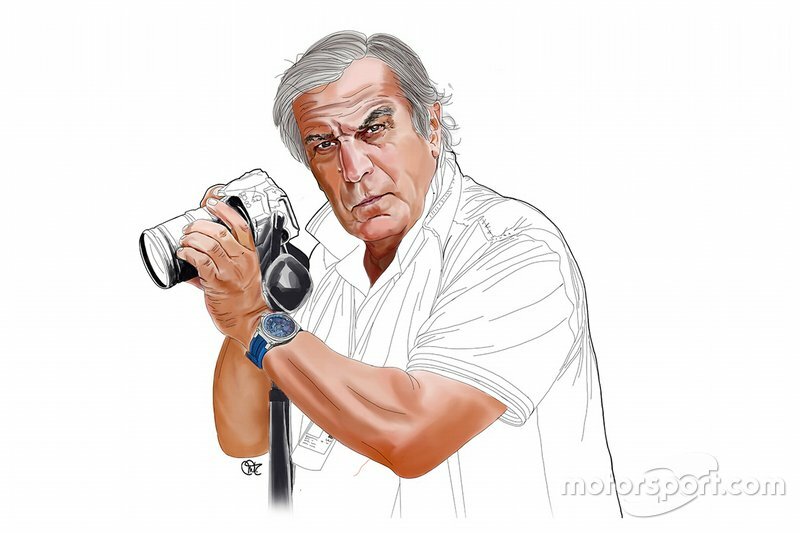 The proportions of the car are clearly different from the previous generation of cars too, with wider front and rear wings and the car's track increased to match the wider Pirelli tyres. The render is clearly scant in terms of the minor details, with more to be seen when the car rolls out in Barcelona for the first pre-season test. But, there are numerous design considerations that are worth our attention. 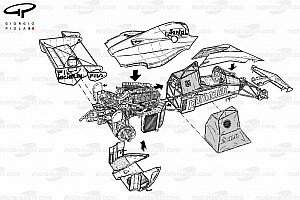 The front wing follows a similar philosophy to its predecessor, with the outer section used to push airflow out around the tyre, while the canard is now serrated to be more purposeful. 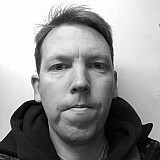 The upper flap has an additional slot in order to assist with directing the airflow across the front face of the tyre, given the additional width that the designers have to consider. The nose design is very similar to last year's car too, as the thumb style tip is retained, albeit becoming more slender as it approaches the chassis in order to facilitate the under-nose inlets for the new 'S' duct. These carry airflow from the underside of the nose to the upper surface and minimise the airflow detachment from the surface due to the abrupt inclination. 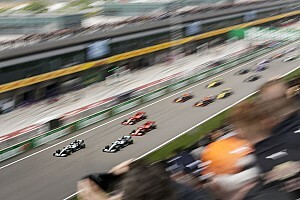 This will be an area of intense scrutiny during the early phase of the season, given the additional scope that has been afforded to the designers. 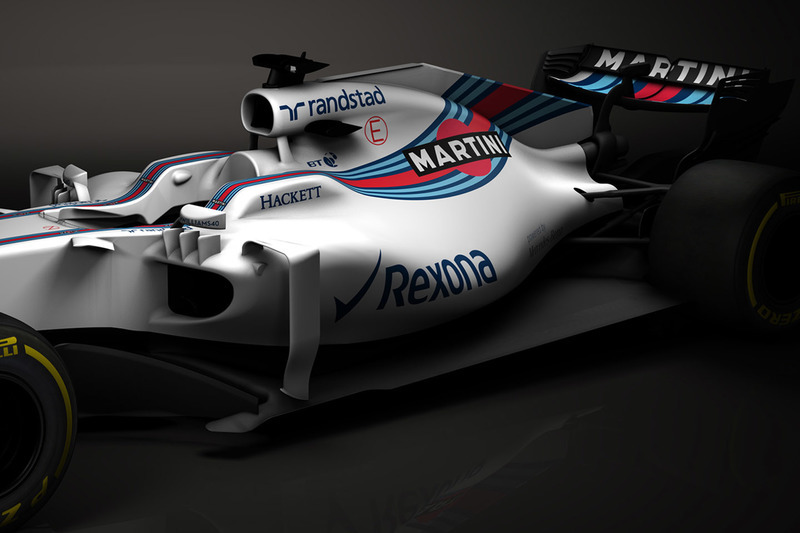 The bargeboards shown in this render are deliberately bland so as not to give too much away to the opposition, and will undoubtedly be revised during testing. 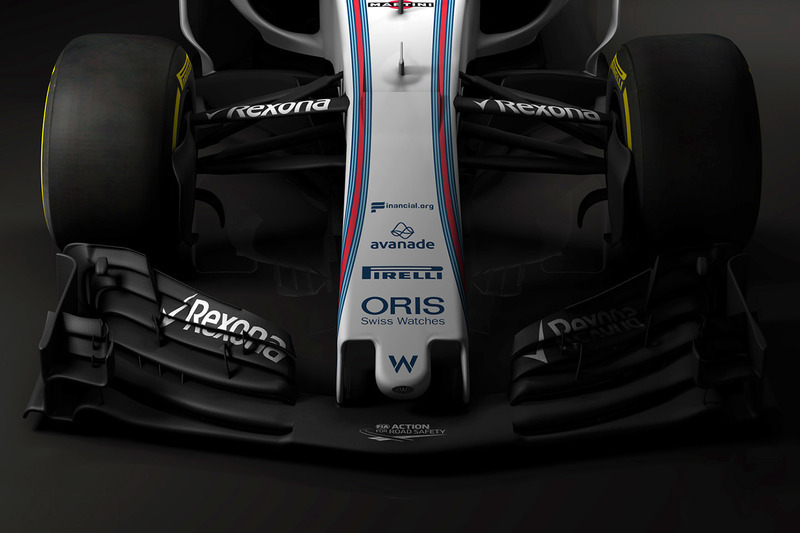 The sidepods remain at the same width as last year, although the regulations permit an additional 100mm, it's easy to spot just how narrow they are by the severe undercut and sculpting that's present along with the requirement of a blister to cover the spec designed upper side impact protection spar. Three vortex generators are placed on the sidepod's upper leading edge and will help to make the sidepods work more effectively, given their aggressive shaping both from how they wrap around the inlet and kink down toward the rear of the car, reminiscent of last year's McLaren. 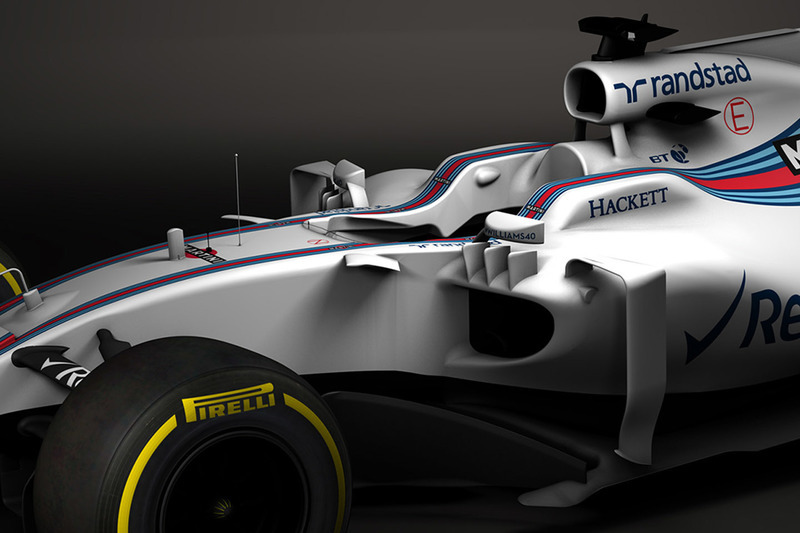 The sidepods are still flanked by airflow conditioners, which extrude upward from the floor and arch over to meet the sidepods shoulder, framing the airflow direction as it moves rearward while protecting it from the wake that is shed from the front tyre. The airbox takes a cue from what we saw Mercedes do with the W07 last season, slightly enlarging it in order to facilitate the needs of the power unit and its ancillary coolers, whilst minimising the need for airflow into the sidepod. 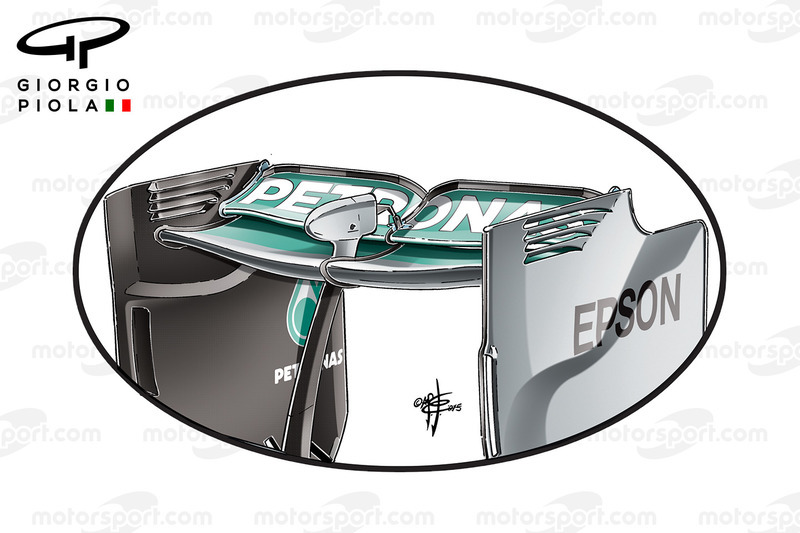 The removable cockpit protection panel that surrounds the driver has a nodule on the inner surface, which has likely been added to assist the driver, with the helmet likely to glance them as their neck muscles are put to the test by increased G forces this season. The nodules are tear drop shaped in order to have only a minor aerodynamic impact. Williams has broken its usual trend when it comes to the cooling outlet at the rear of the car extending it right to the rear, rather than the larger exit that is normally used. The team's use of a short engine cover in the past few seasons has made their shark fin cover look oversized in comparison to the other teams. The new cover is still extremely slimline and has a elongated fin, but this year extrudes right the way back to the rear wing support pylon. Astride the cover it appears a small gurney has been used in order to change how the airflow moves toward the rear wing. Nothing out of the ordinary in terms of detail going on here, with the mandatory shaping being employed and an inverted Y-Lon used to support the wing and circumnavigate the centralised exhausts. 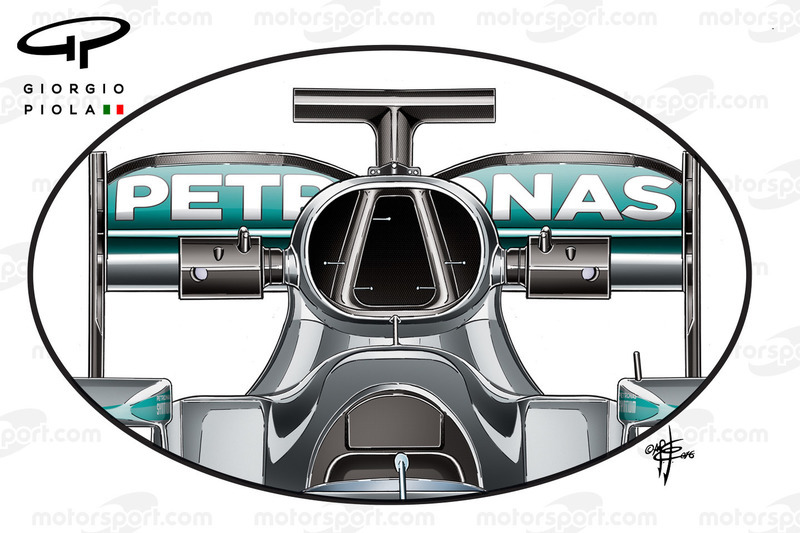 The mainplane has a slight spoon shape to it (conceptually similar to what Mercedes used in Monza last season, above) signalling a desire to trade off downforce and drag while also having an effect on DRS. The diffuser takes advantage of the new much larger dimensions, 1050mm wide, 175mm tall and starting 175mm ahead of the rear wheel centre-line.